Investment Objective: The investment objective of the Scheme is to generate long-term capital appreciation from a diversified portfolio of predominantly equity and equity-related Securities. The scheme shall offer tax benefits under Section 80C of the Income Tax Act. However, there is no assurance that the investment objective of the Scheme will be realized and the Scheme does not assure or guarantee any returns. The investment objective of the Scheme is to generate long-term capital appreciation from a diversified portfolio of predominantly equity and equity-related Securities. The AMC will construct the tax savings mutual fund portfolio using bottom up approach and will have the flexibility to invest across the market capitalization. The investment environment, valuation parameters and other investment criteria will determine the allocation and the investment style. The AMC will conduct in-house research in order to identify investable ideas. AMC will evaluate appreciation potential of individual stocks from a fundamental perspective, assess industry and company fundamentals, robustness of business model, sustainability of moat, valuations, quality of management, corporate governance standards etc. This tax savings fund Scheme will have reasonably well diversified Portfolio without being overly diversified. Minimum of Rs. 500 or account balance, whichever is lower and in multiples of Re. 500 thereafter. 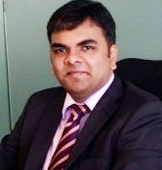 Mr. Malay Shah has around 14 years of experience in the field of finance. He has exposure to Debt – Dealing and Fund Management. Prior to joining Indiabulls Asset Management Company Limited, he was working in the capacity of Head – Fixed Income with Peerless Funds Management Co. Ltd, managing all the debt schemes namely Liquid, Ultra Short Term, Short Term, Income Plan, Child Plan, Dynamic Bond and FMPs. 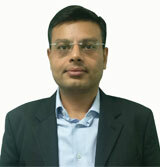 He is a Commerce graduate and has done his MMS in Finance from NMIMS.